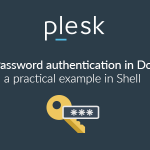 A long time ago Plesk had one good little feature: when typing the panel address in your browser address bar, if you specified the port (8443), but omitted the encryption method (https), Plesk would redirect you to the address https://<server_hostname>:8443. In version 11.5, we replaced the lighttpd web server that served Plesk with nginx. And broke that good little feature.Right away, our users pointed out that breaking good little features and giving nothing in return is bad. Please forgive and forget 🙂 As you can see in Plesk 12.0 preview (available through autoinstaller with –all-versions key), we returned the previous behavior.What’s our point in telling this story? 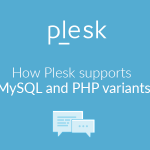 We wanted to share one interesting use-case proposed by our users and to contribute to it.So, let’s assume that your server hostname is panel.provider.com and you installed a valid SSL certificate to protect Plesk. Now you tell your customer: “To enter the hosting control panel, add :8443 to your domain name. For example, example.com:8443.” After that, the customer is automagically redirected from http://example.com:8443 to https://panel.provider.com:8443 and kept out of a terrible error informing them about an SSL certificate issued to a domain other than theirs, an attempt to steal their data and other horror stories that browsers tell. The customer sees the green address bar in their browser and does not see any errors – the provider’s credibility grows. Thus, all users will be directed to https://panel.provider.com:8443 regardless of the server hostname. For those who do not like working with console or editing configuration files, we developed an extension that does this work for you. It will be especially useful for those who actively use Custom View and do not have an access to the server. The only limitation of this extension is that the settings are not applied automatically. You will have to restart the sw-cp-server service or the whole server. I have found an error in the article. Is there also a way to do this in a Plesk 12 Windows version? Link to “Extension – custom-plesk-host” – broken. I tried to do this follow instructions on Plesk 12.0.18 #27, but no success. Thank you for the feedback. The link has been fixed. Yes, this is working, but if the customer is already on a secure connection and uses https://example.com:8443, then it does not redirect and the terrible error informing them about an SSL certificate issued to a domain other than theirs shows up instead. But it has no effect. If I put other more simple rewriterules there they work. Is using RewriteRules even the right solution to this problem? This blog is outdated. The current version of sw-cp-server parses the error_page directive the other way around, it cannot be overridden anymore.